Excellent location, secure free car parking. There was plenty of hot water, beds very comfortable, quality bedding & fluffy white towels. Well equipped kitchen. Good wi-fi. Ian was very welcoming and full of good local information. It was clean and spacious. Great location. Secured building. The staff was able to let us check in early at 10:45am, which was much appreciated. Great location, very large apartment and amazing price. Ian is a great host, always available and easy to contact. A great clean, secure spacious apartment with all working appliances. 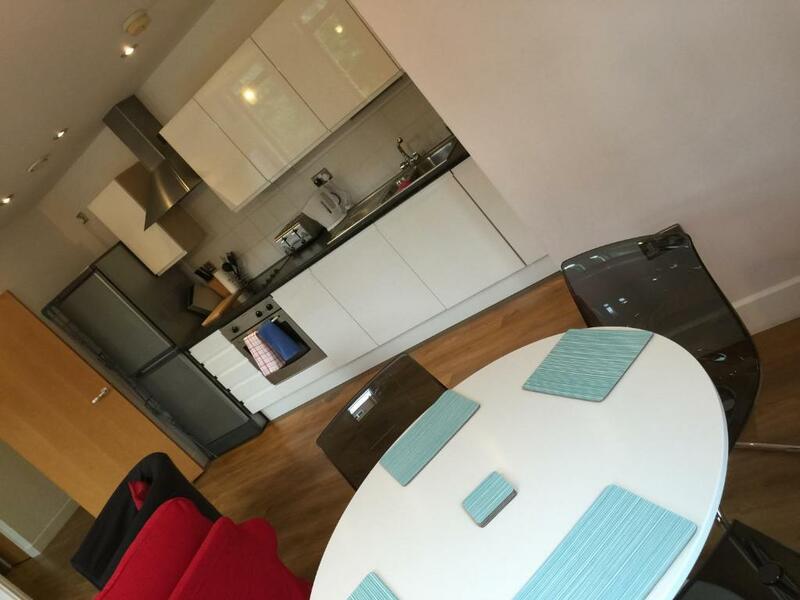 Short walk or tram to Victoria and Piccadilly station or Manchester arena . A nice home from home, while working away. Perfectly located in the centre with some excellent coffee shops very close by. Great to have a parking space in the centre. It was very close to Mother's Mac for use whphabty businesses to fi there. Great location right in the center of Manchester. Our host was very helpful and pro-active. We could use the private car park and taxis and buses were available right at the corner. The apartment is save and spacious and it makes you feel home from the first minute. 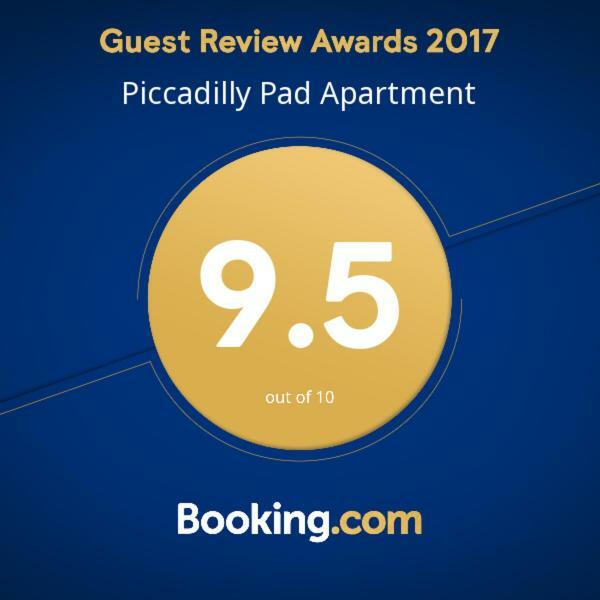 Lock in a great price for Piccadilly Pad Apartment – rated 9.4 by recent guests! 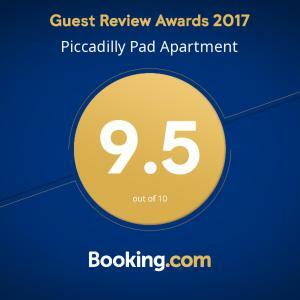 Offering free WiFi, Piccadilly Pad Apartment is located in a central area of Manchester, just a 3-minute walk from Greater Manchester Police Museum. The property features city views and is 0.9 miles from Manchester Arena. The apartment features a satellite flat-screen TV and 2 bedrooms. The apartment also has a fully equipped kitchen with a dishwasher, an oven and a microwave, a dining area and a bathroom with a bath. Canal Street is an 18-minute walk from the apartment. The nearest airport is Manchester Airport, 10 miles from the property. 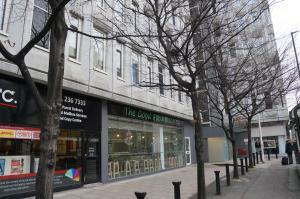 뀐 Located in the real heart of Manchester, this property has an excellent location score of 9.6! When would you like to stay at Piccadilly Pad Apartment? This apartment has a seating area, oven and toaster. 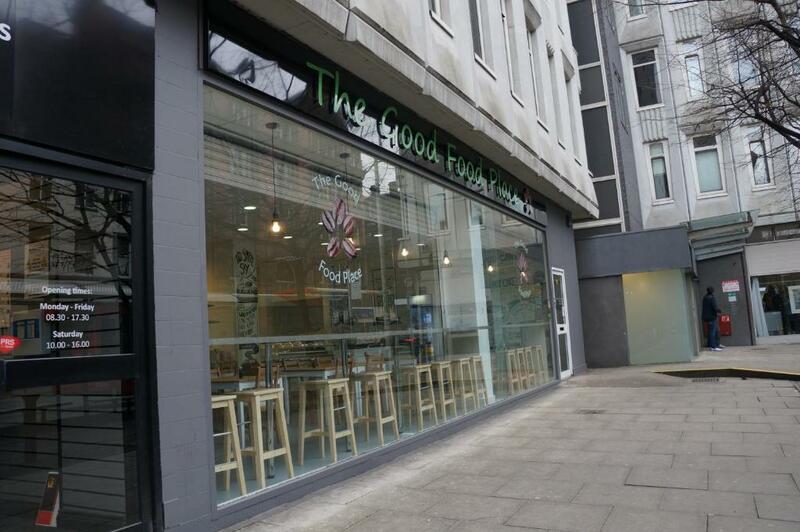 Really central location, next to Piccadilly Gardens. Secure on site parking. Two double bedrooms with living space, fully fitted kitchen. Flatscreen TV with BTTV, FREE wifi. Includes all linen and towels. Perfect flexible stays from a couple of days to a few months.Family friendly. I'm approachable, informative and a born problem solver. Love my football, family and food but not necessarily in that order. Welcome to Manchester. 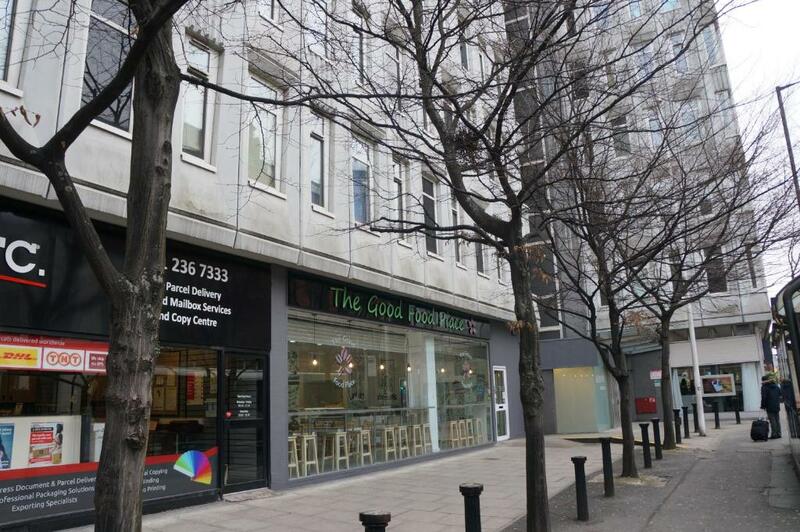 Right in the heart of Manchester, very close to the main transport hub which is Piccadilly Train Station. Metrolink connected, very short distance to the Arndale Shopping Centre and all the bars, shops and restaurants. 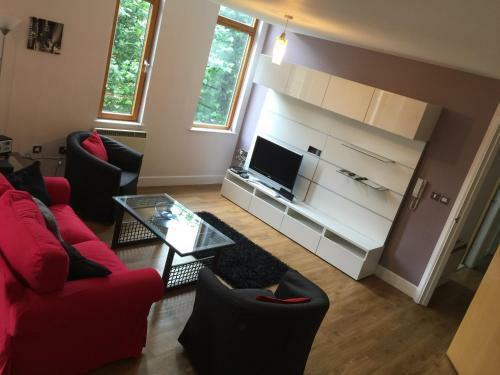 House Rules Piccadilly Pad Apartment takes special requests – add in the next step! A GBP250 damage deposit is required on arrival (around USD325.24). This deposit will be fully refunded 14 days after check-out, as long as there isn't any damage to the property. Piccadilly Pad Apartment accepts these cards and reserves the right to temporarily hold an amount prior to arrival. Please note that check-ins from 17:00 - 22:00 will be an additional GBP 50. Check-ins outside of these hours, must be agreed in advanced with the accommodations, and also will be an additional charge. A damage deposit of GBP 250 is required on arrival. That's about 325.24USD. This will be collected by credit card. You should be reimbursed within 14 days of check-out. Your deposit will be refunded in full by bank transfer, subject to an inspection of the property. 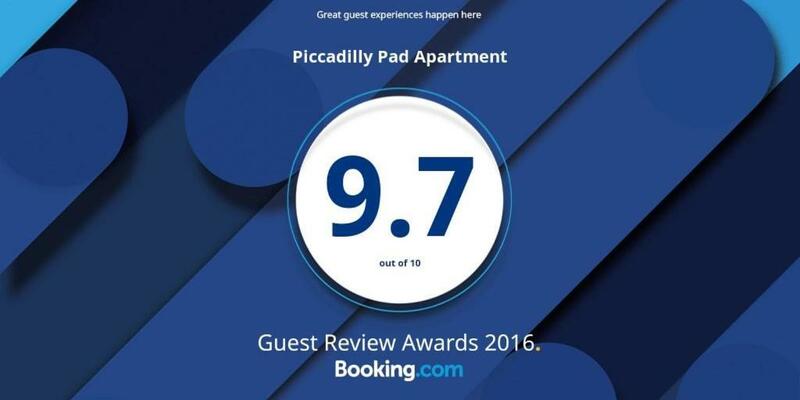 Please inform Piccadilly Pad Apartment of your expected arrival time in advance. You can use the Special Requests box when booking, or contact the property directly using the contact details in your confirmation. Great central location, apartment was clean and had everything you needed. Would definitely go back. 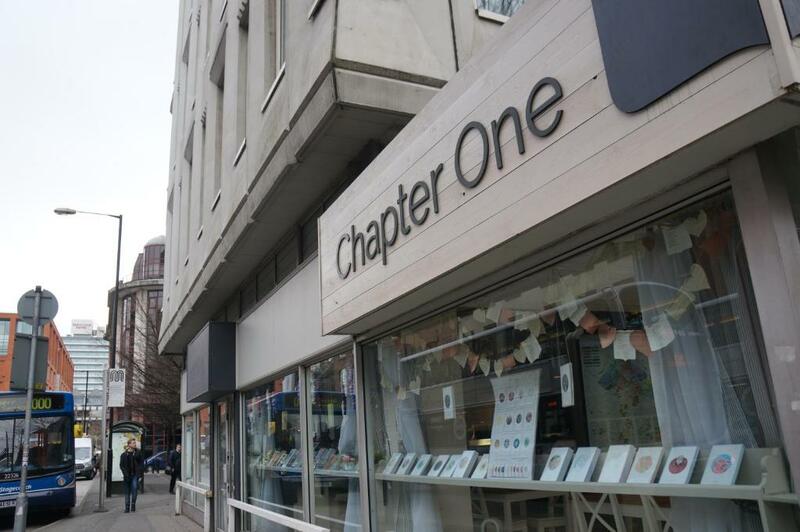 The Manchester one way system is hard so navigate carefully and make sure you phone Ian 15 minutes before to make sure he is there to help you when you arrive! The noisy partygoers from the pub near by. Did not prevent any of us from sleep, we were so exhausted from sightseeing/shopping. 2 singles beds would have been better. But apartment was excellent and the best I’ve stayed in when traveling to cities. The delivery of the keys. We said we were comming inside one hour. We arrived exactly when that hour ended but no one did meet us. Had to call and wait a long time. To find the entrence were also a bit complicated. Well equipped accommodation. Great to be right in the centre of Manchester yet with privacy. With 3 women staying an extra mirror would have been ideal in the 2nd bedroom. 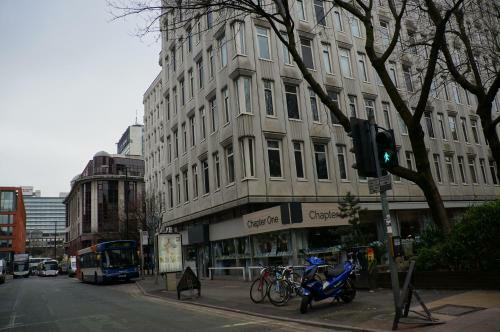 Great location in city centre. Well equipped apartment, comfortable beds, secure parking at no extra cost. Ian was very helpful when we arrived. Only minor problem was sticky worktops that had obviously been overlooked by cleaners, otherwise, spotless. Apartment lovely and clean. Very comfy and everything you need for your stay. Ian very approachable and knowledgeable about the area and were to go. All in all a great apartment. With top service. At the time of booking I didn't realise the keys would have to be collected in person by arrangement which was incovenient. There is no concierge so I had to lug my baggage around with me on the leaving day. There was no soap. I bought shower gel and left it for the next guest.